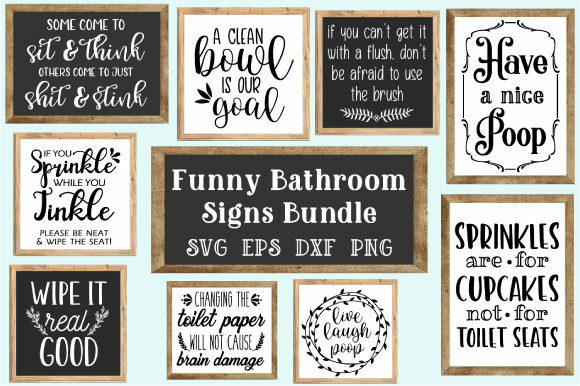 This bundle comes with cutting files for 20 Bathroom Quotes that you can use to cut or print and apply on signs for your bathroom or anything else your craft mind envisions. 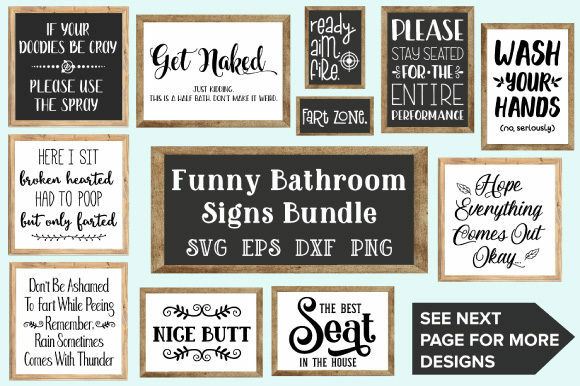 This bundle is intended for crafters using cutting machines. All files have been tested in both Cricut Design Space and Silhouette Studio to ensure crisp and clean cut.